How safe is skiing and snowboarding? Skiing looks dangerous, but it is in reality a relatively safe sport. In fact, you are far more likely to have an accident on the way to the slopes than on the ski trails. Like any activity, you can reduce your risk of injury (or worse) by taking precautions and Knowing the Code. The National Ski Area Association reports the rate of fatalities is .78 per million skier/snowboarder visits. With over 60 million skier visits, and 47 ski related deaths, less than 1 in per million. On our roads, 160 people die per million drivers, according to the National Highway Safety Traffic Administration (there are an average of 92 fatalities on U.S. roads daily). Compared to the sport of skydiving, skiing is ten times safer, there are approximately 30 deaths from skydiving per 3 million jumps annually (10 per million). 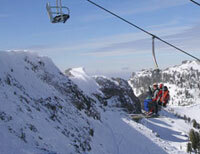 Just like driving, there are ways to improve your personal safety on the slopes. Skiing within your ability is a big one. When you are cruising down a ski trail, you need to think “if I were to catch an edge and fall right now, would my momentum carry me into the trees?” If the answer is yes, you need to bring it down a notch, or three. You should always be able to control your speed and stop to avoid an obstacle, another skier, or a tree – which never move out of your way by the way. With today’s perfectly groomed wide boulevard style trails, skiers and snowboarders can ski at very high speeds. You need to be mindful at all times that an unexpected change in surface conditions or a collision, or just losing control of your ski or board, can cause a high speed fall and impact. So slow it down, ski within your ability level, always be able to stop, look up before entering a trail or pushing off, avoid the skier below you, and don’t ski too close to the side of the trail. All these tips are covered in the 7 Point Skiers Responsibility Code. If your kids are doing tricks in a terrain park, they should wear helmets to protect against head impact, and they should start small and gradually work their way up to bigger features which can obviously mean bigger falls. 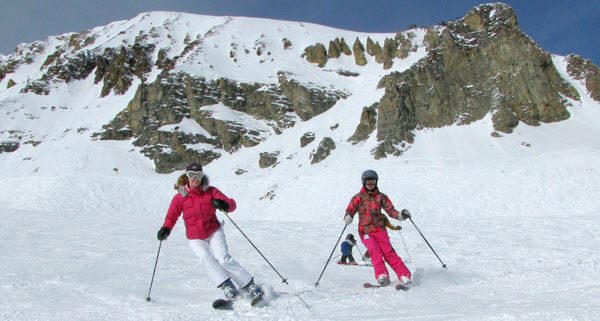 Skiing continues to be a relatively safe sport, and you can control a large degree of your fate on the slopes.